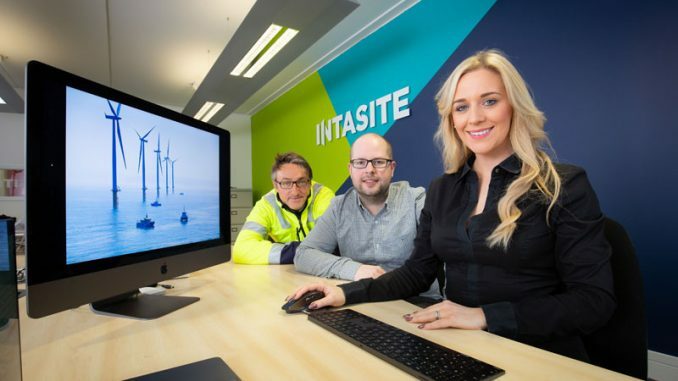 Boro legend Gary Pallister and BBC Tees radio presenter Gary Philipson have lent their support to helping Tees Valley job-seekers achieve their employment goals ahead of a roadshow being held at Middlesbrough’s Cleveland Centre this Friday (April 5). The Routes to Work roadshow will feature support and advice for job-seekers with barriers towards finding employment. 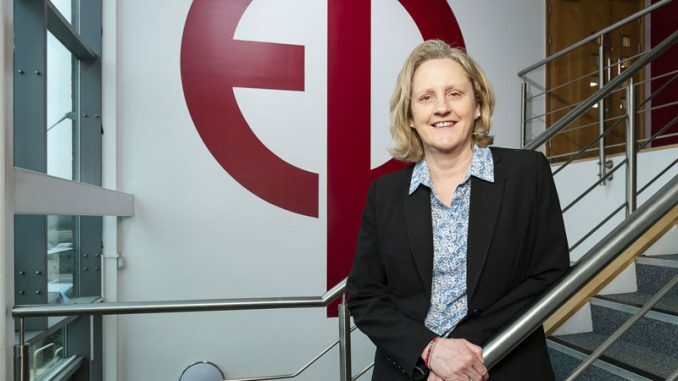 A Department for Work and Pensions Innovation Pilot, Routes to Work offers holistic support for individuals aged 30+ who are long-term unemployed or have been out of work for a minimum of 13 weeks and have significant barriers to work. Among the ‘barriers’ people face in getting a job are not having the skillset to enter the world of work, debt, transport issues, drugs and alcohol misuse, mental health and housing. Part-funded by the DWP and Tees Valley Combined Authority, the £7.5million Routes to Work programme aims to support 2,500 long-term unemployed Tees Valley residents. One-to-one support is available from a dedicated key worker who will help individuals to identify their needs and develop an action plan that helps them move into, or closer to, sustainable employment. Barbara Smith, of Routes to Work, said: “Recent data tells us there are nearly 110,000 people economically inactive in the Tees Valley, with more than 27,000 of them in Middlesbrough. 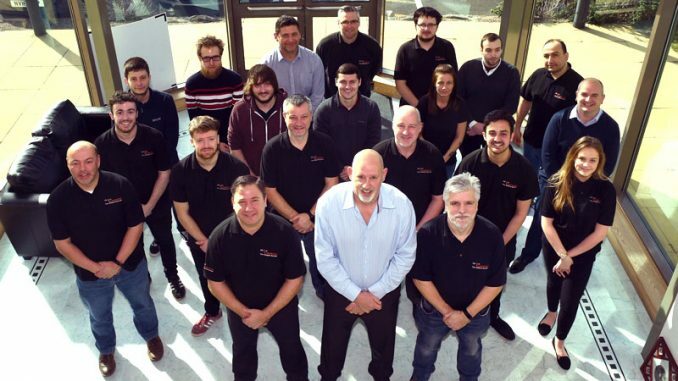 “The Routes to Work team works with those whose personal circumstances make it difficult to find a job, works with them to help them gain the right skills and training, and find the job that’s right for them. The Routes to Work roadshow takes place on Cleveland Centre’s Newton Mall, close to Costa, 10am to 3pm, this Friday (April 5). 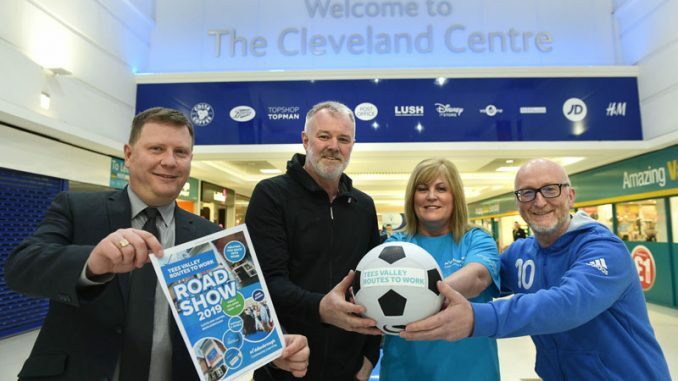 Pictured above: Boro legend Gary Pallister and BBC Tees presenter Gary Philipson joined Cleveland Centre manager Graeme Skillen and Barbara Smith of Routes to Work to promote this Friday’s roadshow.